This museum is also called North Sulawesi Provincial Museum and was established on 9 January 1991. The museum has 2,426 objects, representing cultures from Manado, Minahasa and also from other regions in North Sulawesi such as Sangihe, Talaud, Sitaro, Minahasa, Bolaang Mongondow, and Gorontalo. Their collections are divided into 10 classifications including the following; (i) Geological, (ii) Biological, (iii) Ethnographical, (iv) Archaeological, (v) Historical, (vi) Technological Collections. 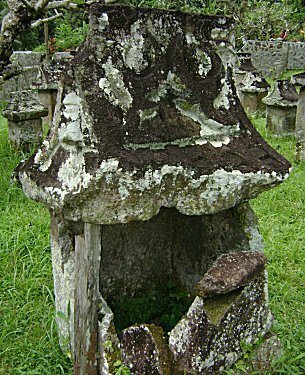 There are also collections of European ceramics, secondary burial pots and a silver plate which was a gift from the governor of Moluccas to the King of Kendahe Kingdom on 26 August 1688. There are also collections of weaving tools, old manuscripts, ancient cannons, sea-shell musical instruments, local paintings and many other things. Remarks : clean and adequately maintained, though some displays are not lighted. July is their busiest month because often students visit the museum during their holidays. Taking photos is allowed. This museum used to be known as Museum Kodam XIII-Merdeka and established on 27 February 1979 by General Rudini, the then commander-in-chief of Indonesia National Army. This is a small military museum that displays a collection of weaponry, ancient canons, and other military equipment. Besides that, there are agricultural seeds such as corn, beans, and rice that used by the Indonesian society during colonization era. Remarks : it might be less attractive than the other two museums and sometimes it may look like it is closed but there are always staff around during its opening hours. This is little "museum" that displays a collection of artefacts such as rings, bracelets, necklaces, and so on saved from the Waruga tombs. Arriving visitors will usually go straight to the tombs where a local guide will approach them and talk about the tomb and then will bring visitors to this museum. After looking at the collections in this room-sized museum, you will be "guided" to fill in a guestbook and to give donations (it's up to you how much you would like to donate). The Queen of the Netherlands Beatrix and her late husband Prince Claus visited the Waruga tombs and this museum in 1995. Photos of their visit are also displayed. Remarks : one of the interesting places to visit in Manado/Minahasa.